Matched betting is becoming very popular because it offers a fast and flexible way to generate a second income online. Profit Squirrel is here to show you how to consistently generate £500 (or more) every month, tax-free. Before you consider joining Profit Squirrel it’s best to understand the basics and see if this is something you want to start doing. Read below to understand how matched betting works in just a few minutes! So What Exactly is Matched Betting? Matched betting is a risk-free betting technique used by members at Profit Squirrel to unlock profit from the free bets and bonuses offered by bookmakers. 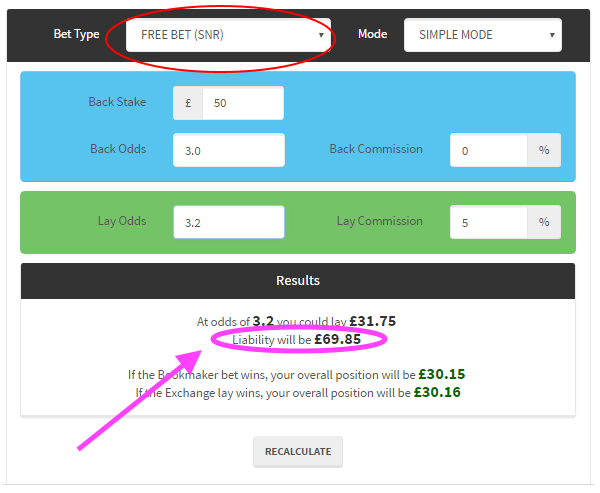 Matched betting is risk-free as it is based on the application of a simple mathematical formula rather than chance. With Matched Betting, you will never lose your hard-earned money on placing bets ever again. Here's a free step-by-step complete walkthrough on how to make your first profits! Profit Squirrel Founder, Chris Haill, breaks it down for you. Watch the video below and see a breakdown example below. The Long Answer (including the maths). Note: The long answer below is written out step-by-step, however, it's not important to understand every little bit below because all of this is explained in our video tutorials. Here's an example of how matched betting works step-by-step. Typical Offer: Bet £50 Get £50 Free Bet. Ladbrokes - one of the largest online bookmakers is currently offering a free £50 bet if you deposit and gamble £50 first. Now obviously with gambling there’s always a risk, and at Profit Squirrel we don’t take risks and certainly don’t gamble. So how do we qualify for the free £50 without gambling £50? Step 1 of 2: Place a qualifying matched bet. This is where we accept a small qualifying loss (QL) usually a few pence/pounds. Don’t worry, keep on reading and you’ll see why that’s perfectly fine. In this example, we are backing Monaco to win at odds of 1.55 in Ladbrokes and laying Monaco (i.e backing Monaco will not win) at odds of 1.59 in Betfair’s exchange. Entering this information into Profit Squirrel's odds calculator gives us a maximum qualifying loss of £2.20 no matter what the outcome of the game - see below. Step 2 of 2: Receiving the free £50 bet. We back Arsenal to win at odds 3.0 in Ladbrokes and lay Arsenal (i.e. backing Arsenal not to win) at odds 3.2. at Betfair's exchange. We open the Profit Squirrel odds calculator in mode "Free Bet (SNR)", enter the relevant information and see how much risk-free profit we will make - see below. Regardless of whether Arsenal win, lose or draw, we will make a guaranteed profit of at least £30.15 from the free bet. Let’s assume Arsenal win and so your free bet wins at the bookmaker. To calculate your return simply multiply your odds by the Free Bet stake. Now with free bets usually the stake is not returned (SNR) because it’s actually a free bet supplied by the bookmaker, so you’re winnings are actually £100 at the bookmaker. If you WIN at the bookmaker - then you will LOSE at the exchange. If you LOSE at the bookmaker - then you will WIN at the exchange. This is what's known as a Matched Bet. Having said that, as a result of winning at the bookmaker you will have lost in the betting exchange. Your liability in the exchange is how much you lose when your bet at the exchange loses. 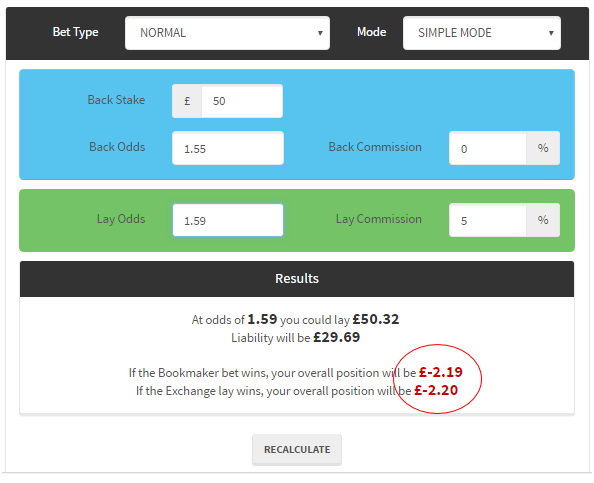 So in this example, as you have won £100 at the bookmaker, you will lose £69.85 at the exchange (see the calculator image below). This gives you a Profit of +£30.15. Let’s not forget your qualifying loss was -£2.20 in step 1. Therefore, your overall profit in this example is £27.95 risk-free! Let’s assume Arsenal do not win. So your bet loses at the bookmaker and wins at the exchange. Losing with the bookmaker is perfectly fine because it was a free bet anyway and not your own money. Your profit, therefore, comes directly from the betting exchange. This gives you a Profit of +£30.16. Let’s not forget your qualifying loss was -£2.20 in step 1, therefore, your overall profit in this example is £27.96 risk-free! There you have it, risk-free profits no matter the outcome of the game. I already have an account(s) with certain bookmakers so I can’t redeem the sign-up bonus. Will I still be able to make £500 per month with Profit Squirrel? Certainly. Profit Squirrel will source all the free bets and bonuses for existing bookmaker customers too, you don’t need to waste time searching for them yourself, we do all the hard work for you! 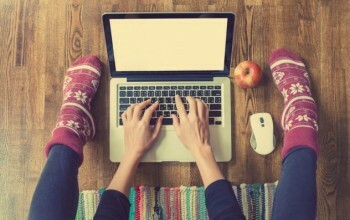 We also show you how to do each and every one step-by-step to make life even easier. Visit the daily offers section in the Profit Squirrel membership area to see the latest offers available for customers who have pre-existing bookmaker accounts. 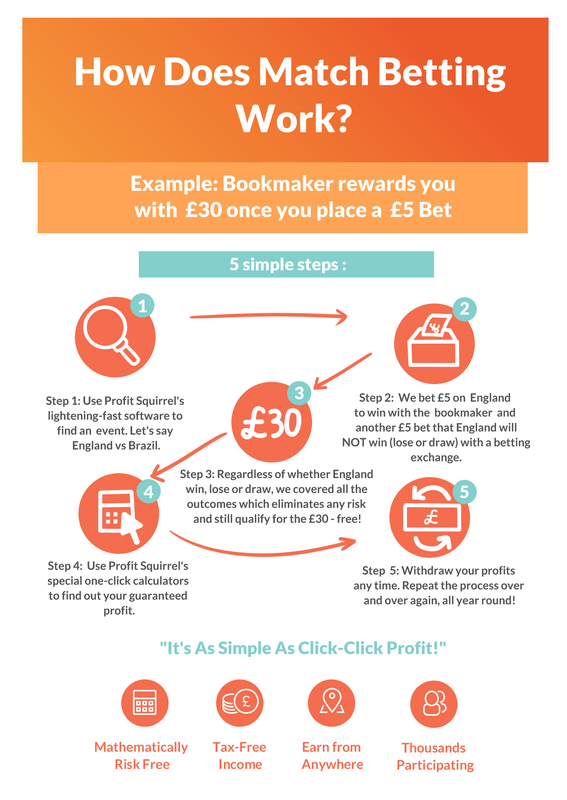 If you want to understand more and learn how to earn £500 per month with matched betting, Join Profit Squirrel today. Good article, well detailed but I don't think people need so much information before they get started. I signed up and just dived in. Made enough to pay off my car insurance and a holiday within 2 months. Result! Great post Em, I think you nailed it!